As a painter and illustrator, few American artists have enjoyed the wide popularity of Maxfield Parrish, both during his life and up to this day. It is said that in the 1920s and 1930s that 25% of all American homes had at least one Maxfield Parrish print hanging in the home. Maxfield Parrish created art that could be enjoyed by everyone, for it adorned advertisements, calendars, magazines, and books not to mention his original oil paintings. Parrish works were notable both for their luminescent use of color as well as for the themes which he unique captured, from landscapes to nudes. Maxfield Parrish was originally born Frederick Parrish in 1870 into the artistic Philadelphia family of Stephen and Elizabeth Parrish. His father worked as an artist, and he introduced his son to art history, museums, and fine architecture. He traveled to Europe with his father, adorning his letters home with his own illustrations of what he had seen. Later, he lived with his father at a Massachusetts colony for artists after dropping out of Haverford College. Later, he continued his education at the Pennsylvania Academy of Fine Art and became interested in the illustrations of Howard Pyle; soon, he developed his own unique style as he pursued a career as an illustrator himself. Parrish had a fertile imagination, and he used it to create vibrant fantasy images in bold colors. He was particularly fond of all the hues of blue but especially what became known as "Parrish Blue", and he experimented with glazes to give the work a luminescent, glowing quality. His sense of scale and proportion gave his carefully designed work a larger than life quality that people loved. 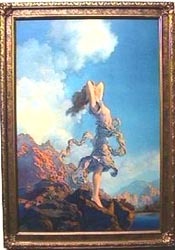 A Maxfield Parrish work was first to decorate the cover of Harpers Weekly magazine when he was only 25 years old, and he also painted murals such as his unique depiction of "Old King Cole" for a University of Pennsylvania theatre club. Early paintings were reproduced in books and popular magazines such as The Century, Life, and Ladies Home Journal. Parrish may be best known not for his paintings and murals but rather for his calendars, first produced for the Edison Mazda Company which was later to become part of General Electric. The public eagerly awaited the publication of the yearly calendars, cropping them to hang on walls and in frames-- a terrific advertising success for the company. Parrish worked at an estate he called "The Oaks" in Cornish, New Hampshire in a house he built largely himself-- excited to put his architectural studies to practical use. 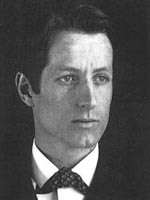 Cornish became a local artist colony toward the turn of the century, thanks to Parrish's rapidly expanding set of friends and colleagues who were attracted to his unique blend of artistic talent and intellect. Demand for Parrish illustrations was so strong that he always maintained a strong pipeline of commissions and earned large sums of money for the day. He bored of the constraints of producing work for advertising, and he wanted to concentrate on producing paintings specifically with the intent of high quality lithographic print reproduction. In 1922, he produced his most famous and popular work "Daybreak." This scene is comprised of his daughter Jean and her friend Kitty Own, the daughter of the orator William Jennings Bryan. 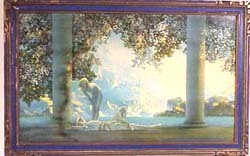 Like many Parrish works of this period, the girls are superimposed in a fantasy scene of vibrant colors and a type of sheen which was unique to Parrish. Later in life, he produced a series of lovely landscapes for Brown & Bigelow calendars published between 1937 and 1962. Maxfield Parrish continued working on an array of work until he turned 70 years old, enjoying spending time with his long time model and girlfriend Susan Lewin. He died 25 years later in 1966 at the age of 95, still at his New Hampshire estate which he had called home for so many years. 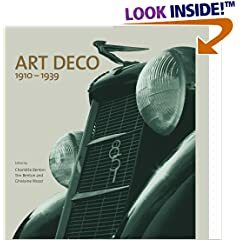 Buy period Art Deco decorative arts on the Collectics Art Deco & Art Nouveau and Fine Antiques pages. If you prefer, please use our convenient Search Engine! Sell or consign period Art Deco bronze, glass, porcelain, and lamps at Collectics, where we earn our customers' trust everyday! Read about our top performing national consignment program for estate and personal collections.